After months of speculation, San Diego’s Stone Brewing announced they will be opening their forthcoming East Coast facility in Richmond, Virginia. An excited craft beer community has known of the California-based company’s desires to land a location on the opposite cost for quite some time. And different communities’ attempts to lure Stone became the beer version of vying to get a professional sports franchise. South Carolina, for instance, made national headlines by loosening their beer laws to woo the brewer, signing the so called “Stone Law” in August. 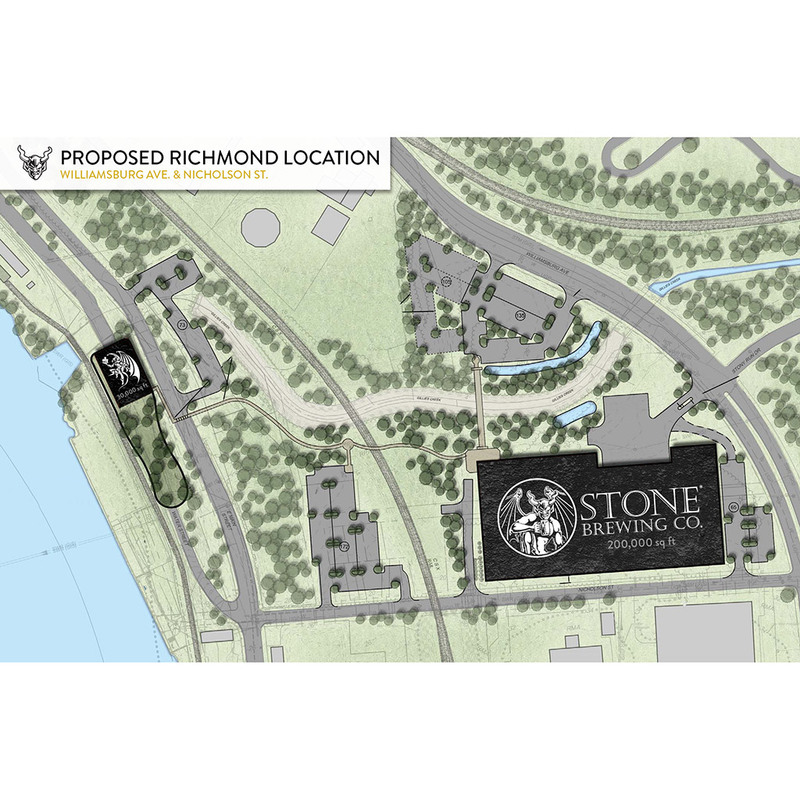 In the end, after considering more than 40 sites, Stone went with Richmond. Virginia’s grand prize: a major craft beer destination, set to feature a 200,000 square-foot production brewery, a packaging hall and a restaurant placed on four acres of land. Stone claims the project is a $74 million investment that will ultimately employ 288 people in the area. What beer fans get is just as exciting. An East coast distribution center theoretically means beer will get to a lot of the country quicker and fresher. Plus half of the US is now closer to a full Stone Brewery experience. Their original Escondido location is renowned for its humor-filled tours, beautiful gardens and fantastic food and beer. Hm. Maybe crack two beers.